A running joke at the University of Michigan is that no jazz classes should start earlier than mid-morning. 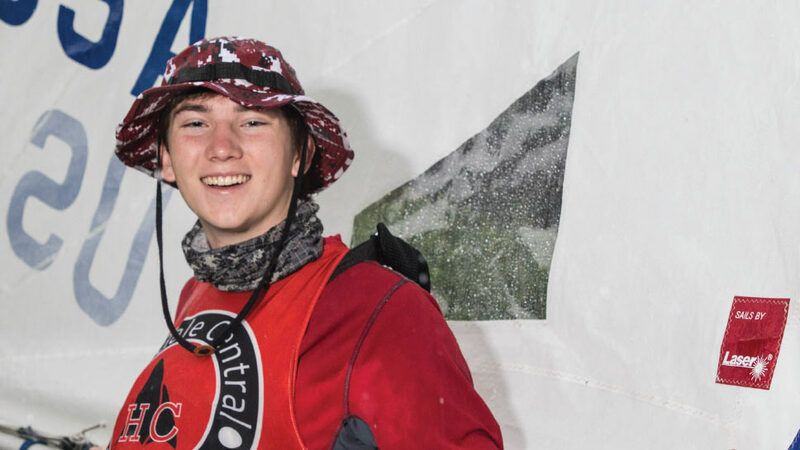 Incoming freshman Sherman Thompson says he was grateful that his high-school jazz ensemble and jazz lab practices at Hinsdale Central High School were held early enough for him to pursue his other passion—the high school club sailing team. Sherman, who will pursue a degree in physics while continuing jazz and other interests, is the oldest of four children and is already expanding family traditions. His mother, Kara, grew up in Troy, Mich. The Thompsons annually visit Torch Lake in northern Michigan and are members of a yacht club, but have never participated in sailing. Thompson’s father, Eley, plays guitar and enjoys reminiscing about his high school band, and his grandfather played clarinet professionally in a New York City trio. Thompson proudly carries his grandfather’s business card in his wallet but is equally pleased to be to leading younger siblings to a new family sport. Thompson’s brothers, Mitchell and Saunders, are a rising Hinsdale Central senior and sophomore, respectively, and part of the nine-athlete sailing team. Sixth-grade sister Sophia is taking a CYC beginners’ sailing class. In the fall of 2010, four students formed the Hinsdale Central sailing team, which competes varsity but is not school-sponsored. The Red Devils compete in fleet racing, in which two-person crews sail 420 boats (4.2 meters long) in A and B divisions against multiple opponents, and team racing, in which three two-person boats compete head-to-head against another team. The Red Devils practice alongside opponents such as New Trier and St. Ignatius—and receive the same coaching. In the five-state Midwest Interscholastic Sailing Association’s November 2017 combined rankings, the Red Devils were No. 12, fourth-best among Illinois high schools. In April, the Red Devils finished second at the District Qualifier team competition at Belmont Harbor. Over the past two seasons, Thompson has finished second in two A division fleet regattas. 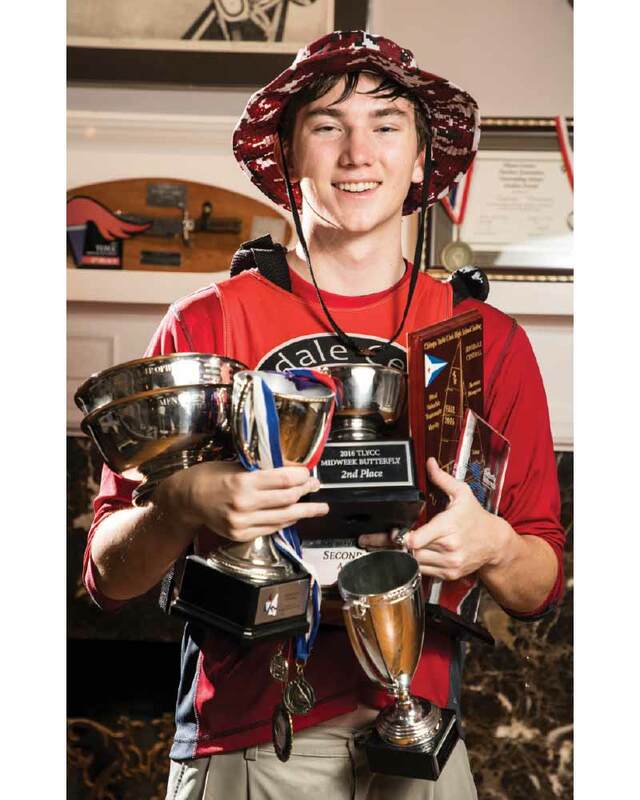 Through the team and CYC Neill Sailing Clinics, Thompson now has met many nationally-prominent competitors and coaches. At one Inter-Lake Yachting Association regatta last summer in Wisconsin, Thompson felt among them, at least momentarily. Jazz always was the genre of choice when Thompson began learning piano in eighth grade. He joined the jazz band as a sophomore and the higher-level jazz ensemble as a junior, continuing a journey started by one of the greatest albums of all time—Miles Davis’ classic 1959 Kind of Blue. “You can sort of tell if a player is classical by how they sit at the piano. Jazz players sort of plop down,” Thompson says. First watching classes on YouTube, Thompson’s interest in physics was by fueled by Hinsdale Central teacher Marv Breig. As a senior, Thompson finally “had enough time” to be on the physics-based JETS (Junior Engineering Technical Society) team coached by Breig. “Physics combines problem solving, the solutions that are an interesting thought process, with some of the coolest tools in terms of mathematics,” Thompson explains. With a major in physics, Thompson feels he will have numerous graduate options, such as practicing law like his father. Thompson’s mother, aunt, and uncle are among numerous Michigan graduates he knows personally.